Ok, a couple of previews from today. With a little help of my friends. 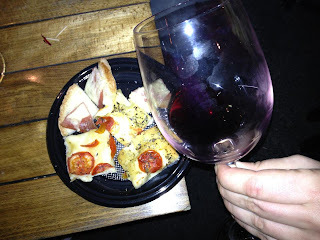 Bolgheri rosso with a lot of yummy snacks @Gatto Nero (Pietrasanta) with my friends. My cousin reminded me I own a webcam on my laptop. 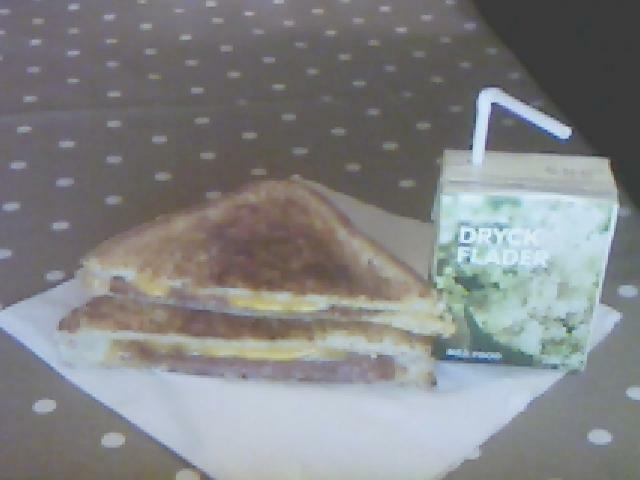 I went on with fat bites when I came back home: elderberry juice and a toastie with salami and orange cheese. I like that orange cheese: we haven't got this kind in Italy!